Step into another era with the Old Havana collection from Panama Jack®. 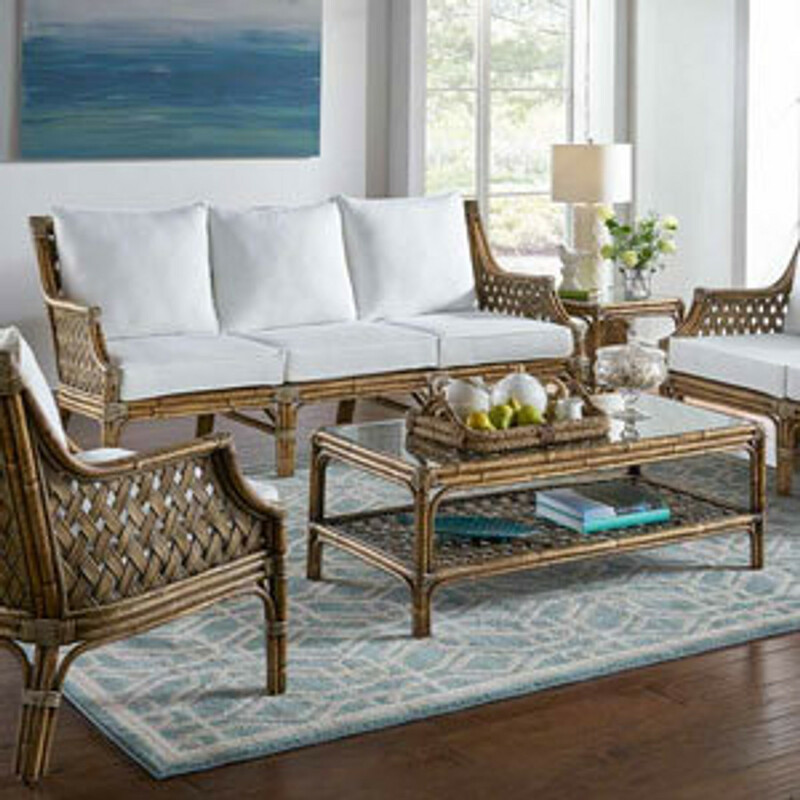 This collection includes a seating set with sofa, loveseat, lounge chair, coffee and end table all composed of a highly durable and lasting rattan pole frame with trellis weave pattern. You can also enhance your dining experience with the Panama Jack® Old Havana dining set. All pieces are handcrafted and beautifully made to bring the charm of Old Havana to your home. Cushions are available in a standard indoor beige fabric or choose from an array of options for a customized touch.